Chat Controller is a parental control program that lets you create rules for each user that determine when instant messaging is not allowed on your computer. Chat Controller is compatible with AOL Instant Messenger, AIM Triton, Google Talk, ICQ, Miranda IM, MSN Messenger, Skype, Trillian, Windows Messenger, and Yahoo! Messenger. 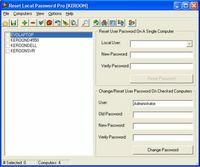 Multiple rules can be created for each user of your computer. Chat Controller's IM Audit tool will scan your computer for the instant messengers above, and if found, will show you the messengers' version and location. Chat Controller's optional Public Rule Viewer lets all users of your computer see the rules that apply to them. Chat Controller runs as a Windows Service.